Influencers are ditching Snapchat and YouTube as interest in Instagram continues to rocket, according to new research. The Activate report The 2018 State of Influencer Marketing Study, based on interviews with more than 800 global social media influencers and 100 marketing professionals, says that Instagram and blogs are the two social media channels with the most partnership activity. Facebook, Twitter and Pinterest sit in the middle with no real movement, and Snapchat and YouTube are having to deal with serious declines in usage. A total of 86 per cent of marketers and 89 per cent of influencers are using Snapchat less for influencer marketing campaigns than they did last year, the report says. "In the past, Snap hasn't been the most accommodating to influencers," said Activate chief executive Kamiu Lee. "Despite influencers flocking to the platform early on, Snap was surprisingly gun shy in catering to them. 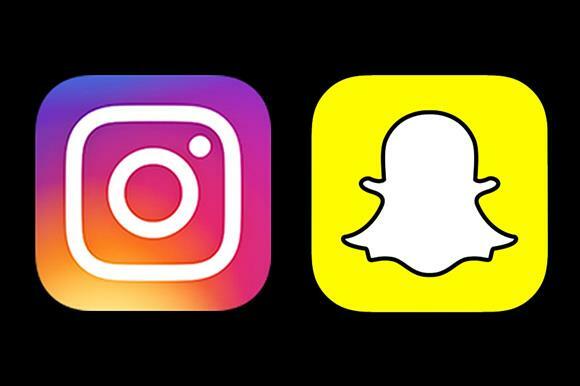 Influencers have shared some frustrations with Snap’s lack of urgency in providing data to creators. Until February of this year, creators received extremely little data from brands on items such as total story views, daily reach, engagement metrics, audience demographics and so on. "This slow start on creating an environment that is supportive of influencers means that it is that much harder for creators to really build a community and business on the platform – and, over time, less likely to invest time into the platform from a commercial standpoint." The research team found no real evidence that Kylie Jenner's statement about Snapchat being redundant led to creators leaving. Lee added: "It will be interesting to see how things continue to evolve. To some extent, marketers and influencers flock to where the environment is ripe, and that is a mix of healthy audience growth and influencer/brand friendly measurement capabilities." Instagram Stories has proven wildly popular with brands. Fifty-five per cent of influencers and 70 per cent of marketers say they've incorporated the feature into their sponsored partnerships.